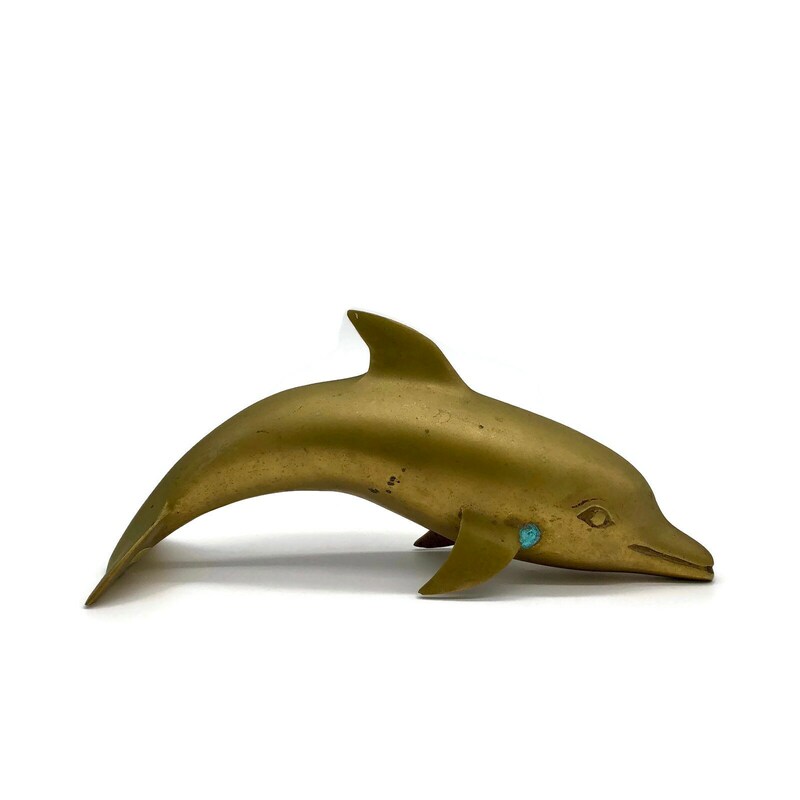 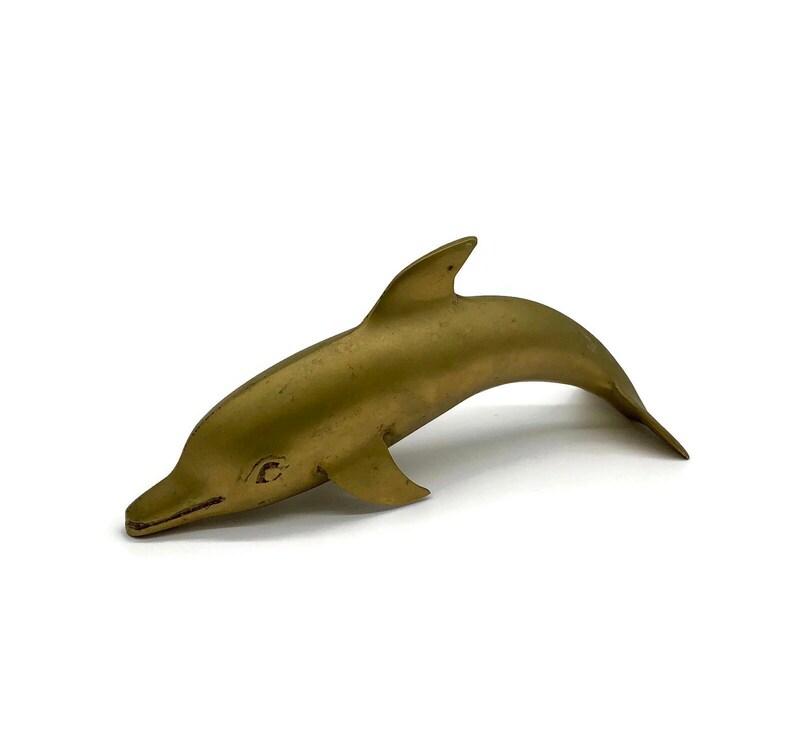 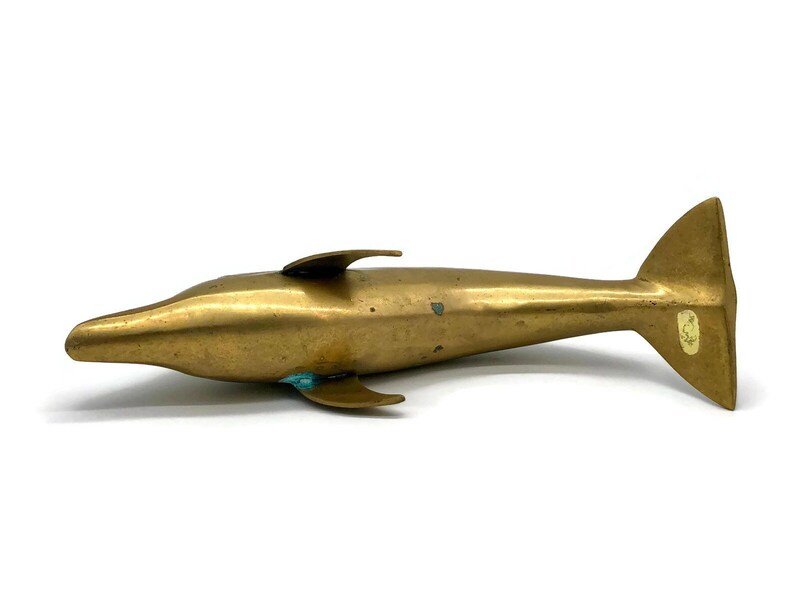 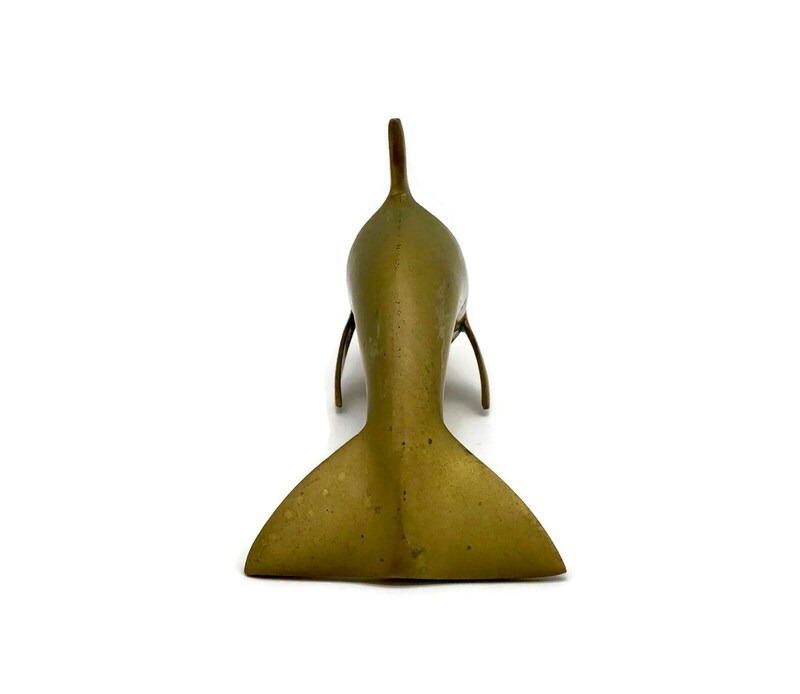 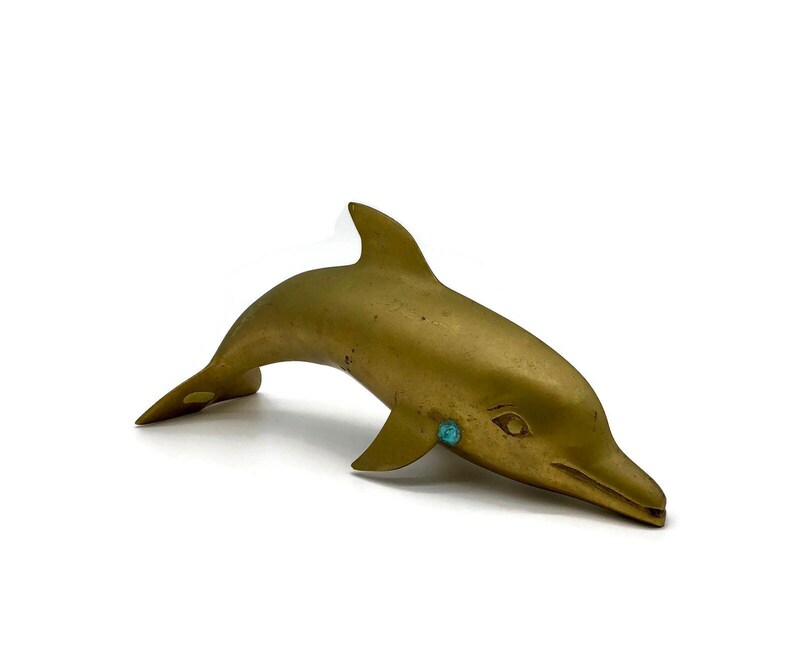 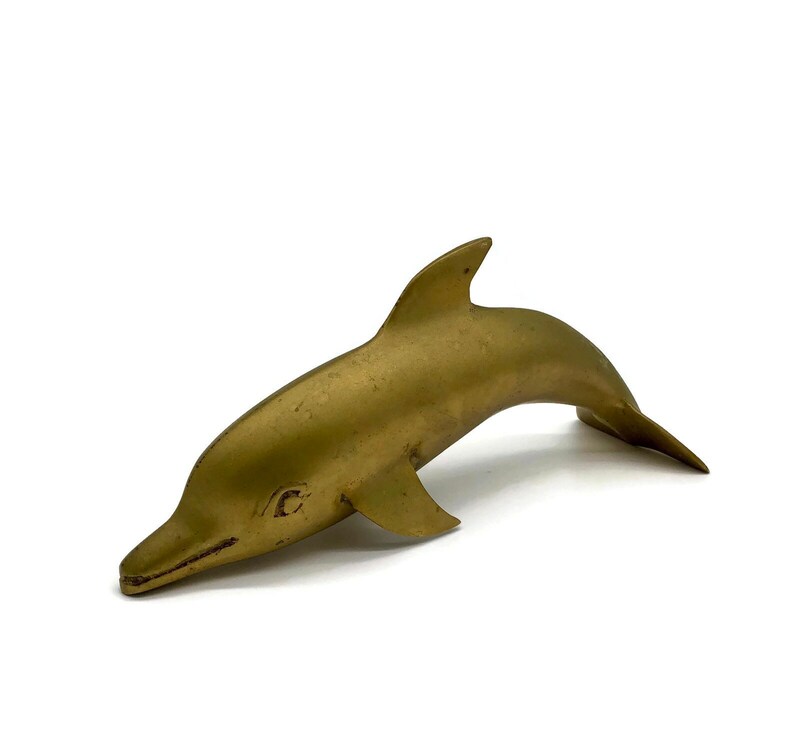 Large vintage brass dolphin figurine with amazing patina. 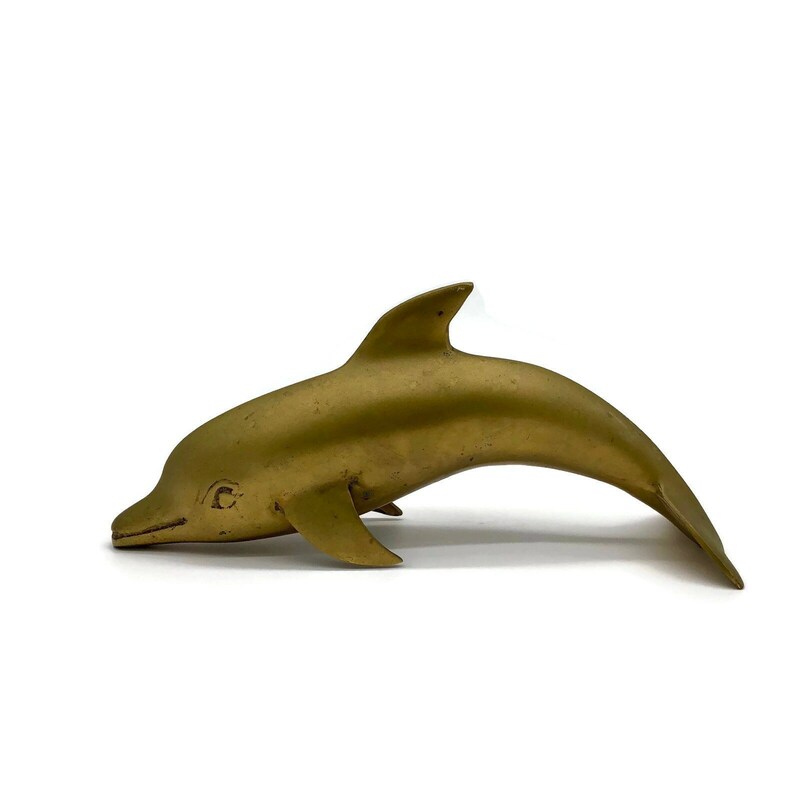 Wiped down only, but could be polished to a shine if desired. 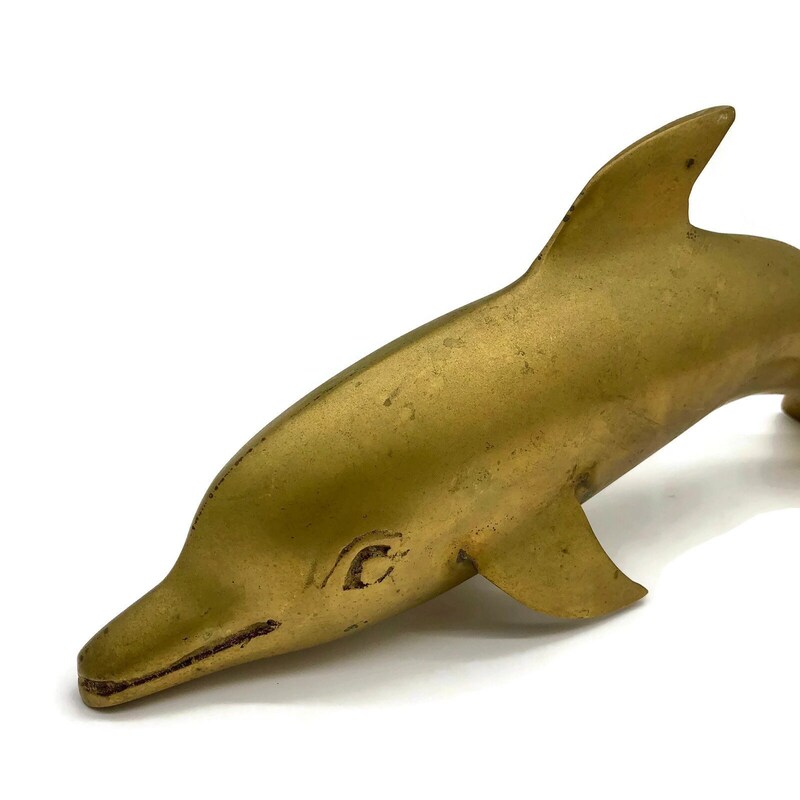 + Weighs 1 lb., 6 oz.